 The Ravine Condominiums, a master-planned community overlooking the Don Valley in Toronto’s prestigious York Mills neighbourhood. 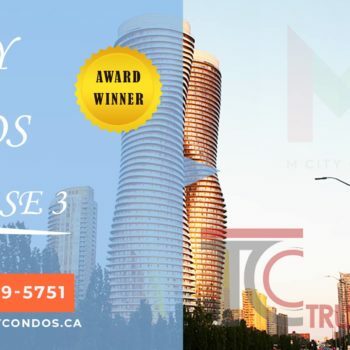 Located at 1213 York Mills Road in North York, Ontario. 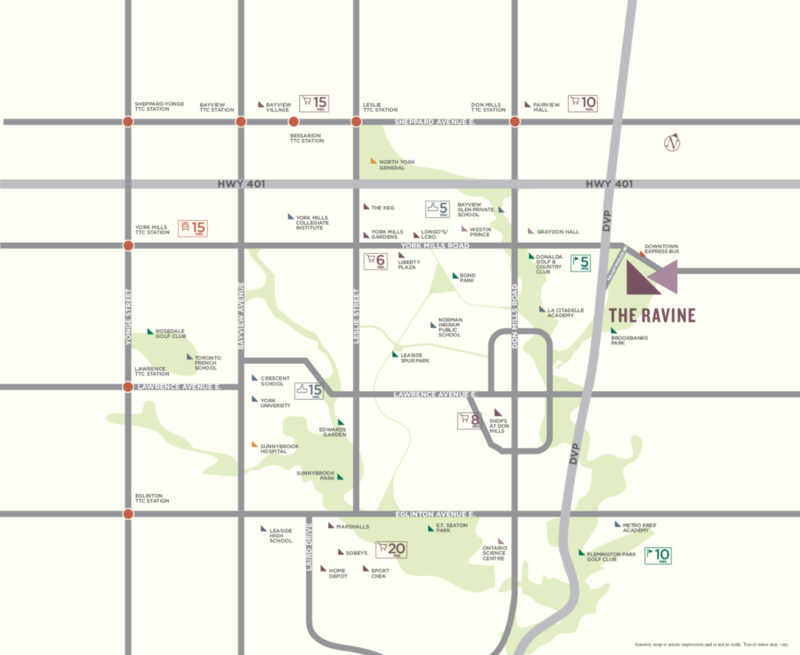 What Are The RAVINE CONDOS Features? Don Valley Parkway-Hwy 401 interchange. Minutes Away from Fairview Mall the Shops at Don Mills. Walking Distance to Restaurants, Grocery’s, Tim Hortons and Much More.. Since they started out with their 48-unit Camden Lofts development back in 1996, these have been their touchstones. That project, on dusty Camden Street in the then hollowed out Fashion District west of Toronto’s downtown, broke the mould of Toronto development. Urban living. Raw space. Cubic footage rather than square footage. Camden was borne out of a belief that the then de-industrialized parts of cities could come alive again as vibrant urban centres. That design-focused urban condominiums could compete with suburban homes. That there were people who wanted more. Camden was followed by 66-unit Charlotte Lofts, just across Spadina, and their first Ottawa development, the East Market. That project, a mighty 420 units, brought what they had learned from Camden and Charlotte to their then conservative national capital, and established that people outside that little world called downtown Toronto also craved urban living concept. 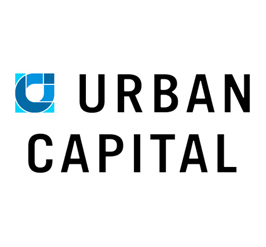 Since those early days they have delivered over 3,500 urban condominiums, with another 1,000 now under construction and several thousand in the pipeline, totalling over $2 billion in development. In 2003 they added Montreal to the mix; in 2009 they brought acclaimed Saucier + Perrotte Architectes to Toronto for River City development, and in 2013 they expanded to Winnipeg and Halifax. Their work has pushed the envelope or pioneered, be it in terms of urban location, high-end yet functional design, or green living. Today they are continuing that DNA, with new markets, new architectural approaches, new interior features and layouts, and new environmental measures.